In a liquid feeding programme, cows’ milk is often seen as the most natural and convenient way of rearing calves because it’s always there. Although waste milk is often used, typically there isn’t enough and so saleable milk will be fed to the calves. Improved hygiene. The risk transmittance of disease factors such as Johne’s disease, Salmonellosis, E. Coli, always exist when feeding raw whole milk. Pasteurization can reduce the total bacteria number in waste milk. However, it also reduces the activity of vital components, like Ig’s and vitamins. Furthermore, it does not completely eliminate heavy bacterial load or remove residues of antibiotics from waste milk. Composition is more optimal. The composition of cows’ milk has changed over the years due to genetic selection for yield, fat and protein, leaving a suboptimal composition. At the same time, calf requirements have changed in modern-day rearing systems. In addition, advanced health components can be included in quality calf milk replacers that can support immunity and growth in the young calf. More economical. Calf milk replacer is typically less expensive per litre of milk fed. Also, a calf milk replacer usually has a lower fat content than whole milk, resulting in a higher (starter) feed intake, making it therefore possible to wean earlier and reduce the amount of milk fed. Faster transit time in abomasum because of lower fat content and easy digestible whey proteins. This leaves the calf less saturated, stimulating the ingestion of other solid feedstuffs, like calf starter concentrate and roughage. 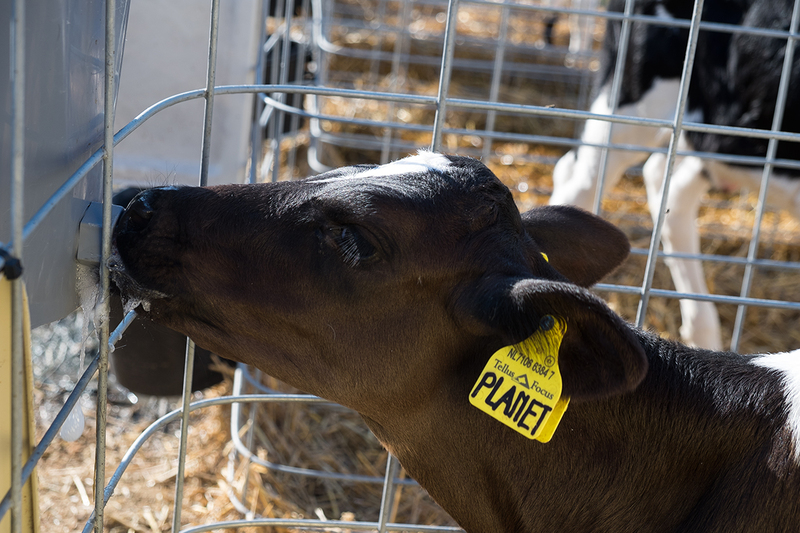 Enhanced intake levels of calf starter and roughage with advanced growth of ruminal epithelium and increased rumen motility are associated with feeding milk replacer. These are key drivers for rumen development and allow for early weaning. A calf milk replacer is always available and fresh, convenient to mix and it can be offered at the same temperature each feeding.